Anticipation for the next generation of Apple’s iPhones has reached fever pitch. Pre-sales for the smartphones opened over the weekend, with the range going on sale in stores stores soon on 25 September. Australia’s four largest carriers have announced plan pricing and cut-throat competition is reaping rewards for everyday customers, in the guise of free content subscriptions and bonus data allowances. Postpaid pricing can be technical, convoluted and overwhelming. Following is an analysis on the different iPhone offers from Vodafone, Optus, Virgin and Telstra. Under the microscope are carrier ‘hero’ plans, those that are cheapest and those rich in value. 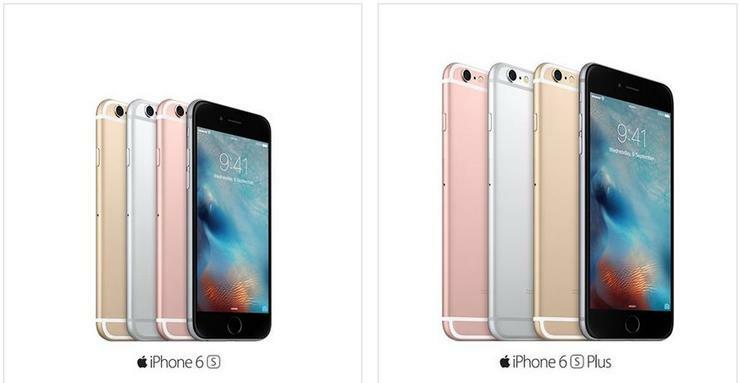 Apple offers its iPhone series in 16-, 64- and 128-gigabyte variants. This analysis focuses on the most popular capacities of the iPhone 6s and 6s Plus, and that is the 64-gigabyte model. The mid-range 64GB iPhone is approximately $6 more than the introductory 16GB variant, and $6 less than the larger 128GB models. It occupies the mid ground and is a solid indicator of iPhone pricing within a $6 - $8 ballpark across each Australian carrier. It is important to check network coverage before signing up to any carrier — bad or no reception will deem the best value plan worthless — and to double check the offer is still valid. Carriers are constantly updating smartphone pricing and, although this article is accurate as of 15 September, 2015, changes may have been made thereafter. Telstra is promoting its ‘Large’ plan, which will cost $95 for an iPhone 6s and $102 for the 6s Plus. Order this plan online and Telstra will add an extra gigabyte of data every month for the life of the contract, pushing the total to 6GB. Upgrade after 12 months: This plans is compatible with Telstra’s ‘new phone feeling’ option. This involves returning the smartphone after 12 months — ‘undamaged and in good working order’ — the payment of a one off fee and the resigning of another 24 month contract. Apple Music subscription: Telstra is bundling a 12-month subscription to Apple’s music service. What happens if I go over my data allowance? Excess data charges have been revised at Telstra as of 12 May. Go over the allowance and you’ll be charged $10 for every 1 gigabyte block. Headlining Vodafone’s iPhone pricing is the $80 Red plan. Handset instalments are more expensive at $15 for the 6s and $23 for the 6s Plus, pushing the monthly totals to a respective $95 and $103. Vodafone offers no limit on the first two months of data use. It is a good way of gauging how much data you will use every month. Six months of free content: From a choice of Spotify Premium for music; the SMH for news; or Stan for TV shows and movies. What happens if I go over my data allowance? Go over your data allowance after the first two months with Vodafone and the carrier will add a $10 charge to your bill for every additional gigabyte of used data. Dancing to the beat of its own tune is Optus, which, although has a competitive $80 plan, is championing its more expensive $100 plan. A monthly handset instalment of $7 is charged for the iPhone 6s, while the more expensive 6s Plus incurs a handset instalment of $15. People who buy an iPhone on the $100 Optus My Plan will get a bonus 2GB of data every month for the life of the contract. This offer can be redeemed in store or online, as long as you sign up before 4 January. Add a mobile service to an existing Optus Internet account and get $10 off each month. What happens if I go over my data allowance? Exceeding your allocated Internet allowance isn’t much of a problem with Optus. Every gigabyte of excess data is charged in $10 blocks. It comes as no surprise that Virgin Mobile is championing its least expensive $30 plan when it comes to Australia’s largest telcos. Grab a 64GB iPhone 6s and 6s Plus on its $30 Phone Plan and the total monthly cost will be a respective $67 and $73 a month. Virgin Mobile is an aggressive competitor on price and it shows when you take a closer look at its plans’ inclusions. We don’t recommend the $30 plan for anyone interested in using an iPhone for Internet. The $40 plan comes with more than three times the data at 1GB for a limited time and is worth some consideration. The $40 Plan and above come with doubled Internet allowance if you sign up before 7 October. What happens if I go over my data allowance? Virgin is the only carrier of the four featured to charge exorbitant excess data charges. The company charges in megabyte increments of $0.52 per megabyte. This means 1-gigabyte of extra data is charged at $53.25. Two plans stand out for heavy Internet users. Vodafone recently released the $130 Red Plan, a plan which ordinarily comes with a 15GB data allowance, but for a limited time, comes with an additional 5GB of data. People who sign up before 3 November will have a monthly data allowance of 20GB, in addition to unlimited national calls and texting. Optus $135 is just as competitive. The default plan is typically offered with 16GB of Internet data, but Optus is throwing in an extra 4GB for 20GB. The plan contends with Vodafone’s with no limit on standard calls and texts, while the extra data offer expires on 4 January, 2016. Both plans have specific international call inclusions. Check to see if either carrier’s plans cover a country you call frequently. Reception could be a key differentiator here. Is anyone in your family with Optus or Vodafone? Perhaps a friend? Check the quality of reception at your home the next time they visit.